So as I meantioned before, I'm prepping to disappear for a few weeks but I needed to get a few more cards prepped for next month. And I think I have it all done now!!! Wahoo!! Now an anniversary card being entered in: Sketch Saturday #366. And the last one is also an anniversary card... Man people like weddings in warm weather!!! 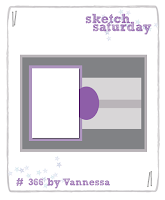 This one is being entered in Tuesday Morning Sketches #306. And that's what I've got for tonight... Now off to do some more coloring... or cleaning for my weeks off.... I think coloring wins!! If I'm not in before I disappear have a great time enjoying the sun and making memories!!!! beautiful wishes. Thanks for joining in with Cardabilities! What a fabulous take on our sketch! 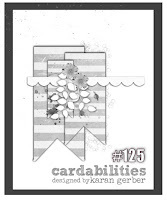 Thanks so much for joining our challenge at Cardabilities! We hope you’ll join us again real soon! Good Luck! Your cards look great.. love the stamps you have used.. thanks for joining in with Cardabilities..
What a wonderful set of cards, Thank you for joining us for Tuesday Morning Sketches.